Tel Aviv’s bellicose stance against Iran’s nuclear program has sparked a pushback in Israeli society against politicians' ambitions to strike Iran, with many demanding a peaceful resolution to tensions. ­More than 400 Israelis, including prominent academics, have signed an online petition appealing to Israel Defense Forces (IDF) pilots not to obey hypothetical orders to bomb Iran. The petition was initiated by Vardit Shalfi, a left-wing activist and editor of online magazine The Occupation, who said that there are many public campaigns against a war with Iran, but "none of them appealed to the executive level, the pilots." The document calls a possible military strike on Iran a "highly mistaken gamble" that would come "at an exorbitant price," and would not halt Iran’s nuclear program. The petition also warns of legal responsibility for the potential consequence of strikes against atomic facilities: "Israel as a country, as well as those carrying out the bombing might be charged with war crimes." Law professor Chaim Gans of Tel Aviv University argues that such military action would be illegal, and that “it is clear that the consequences of such a war would be destructive in every possible way." Some say that the strike could be legal, but still cause serious blowback. 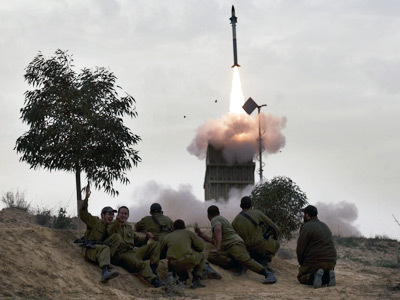 "There is no legal problem with striking Iran," petitioner and Tel Aviv University law professor Menachem Mautner said, but he warned of the possibility of "very serious and far-reaching consequences" for Israel if it attacks Iran without US backing. Similar petitions have also been circulated among Israeli society. Physicians for Human Rights-Israel has sent a letter to Prime Minister Benjamin Netanyahu and Defense Minister Ehud Barak outlining their fears about the consequences of a potential attack: "We will be the ones you will seek out to heal and put together what you have broken. We call on you: Don't break. 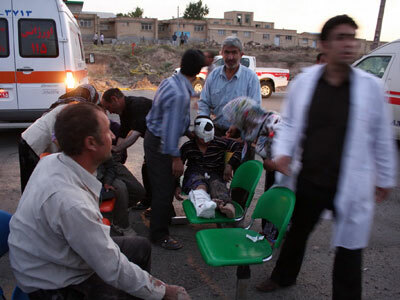 First do no harm," Iranian Press TV reported the letter as saying. Israel seems to be preparing for possible military action. A nationwide missile alert system has been tested this week, and gas mask distribution centers have been created across the country. Contractors have also been hired to fortify hospitals, schools and shelters, the AP reported. 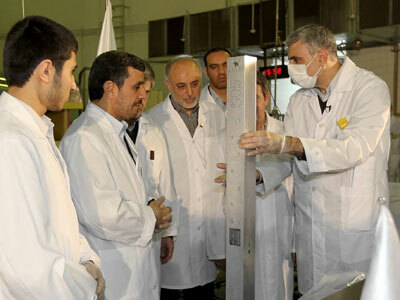 Tel Aviv has engaged in long-running diplomatic appeals to halt or slow Iran’s nuclear program. They insist that Tehran is working to develop nuclear weapons, while the Iranian government claims their program is for civilian purposes. Tel Aviv has repeatedly warned in the past few months that the window of opportunity for military action is narrowing, claiming that economic sanctions are incapable of stopping Tehran from acquiring the alleged nuclear weapons. Israeli Prime Minister Benjamin Netanyahu and Defense Minister Ehud Barak have implied that an Israeli military attack on Iran's nuclear facilities would be launched in the fall, before the US presidential election in November. Prime Minister Benjamin Netanyahu's main goal in this crisis is delaying Tehran’s nuclear program by a few years, even if Israel cannot entirely halt Iran’s nuclear program, the Jerusalem Post reported. On Sunday, an anonymous senior Israeli politician (believed by the media to be Ehud Barak) said that Israel had already decided to act alone, the National Post reported. "We can't wait to find out one morning that we relied on the Americans but were fooled because the Americans didn't act. Israel is strong and Israel is responsible, and will do what it has to do," the official said. 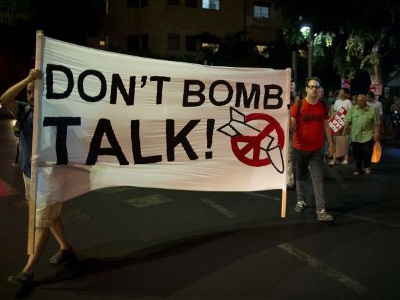 Tel Aviv has openly stated that it is prepared to bomb Iranian nuclear facilities. IDF forces carried out similar missions in 1981 and 2007, when they attacked unfinished nuclear reactors in Iraq and Syria. Israeli President Shimon Peres challenged the prospect of a unilateral, pre-emptive Israeli strike in a televised address, saying that “Now, it's clear to us that we can't do it alone. We can delay. It's clear to us we have to proceed together with America. There are questions about coordination and timing, but as serious as the danger is, this time at least we are not alone." Other prominent Israeli politicians also oppose Israel making unilateral strikes. Recently-resigned Kadima leader Tzipi Livni announced in May that Netanyahu is threatening the existence of the Jewish state with its hawkish stance against Iran. Panetta made some of his strongest comments yet on curbing Tehran’s nuclear ambitions during a visit to Jerusalem earlier this month: “We will not allow Iran to develop a nuclear weapon. Period,” he told reporters. 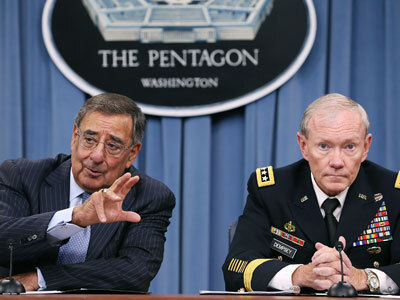 Only 22 percent of Israelis believe Panetta’s statement, according to an August 8 poll by the Dahaf Institute. The survey also showed that a majority of Israelis believe that a nuclear Iran would pose a threat to Israel, and most say that Israel needs US assistance to stop Tehran’s nuclear program. Some 61 percent of Israelis believe Iran should not be attacked without consent from the US.